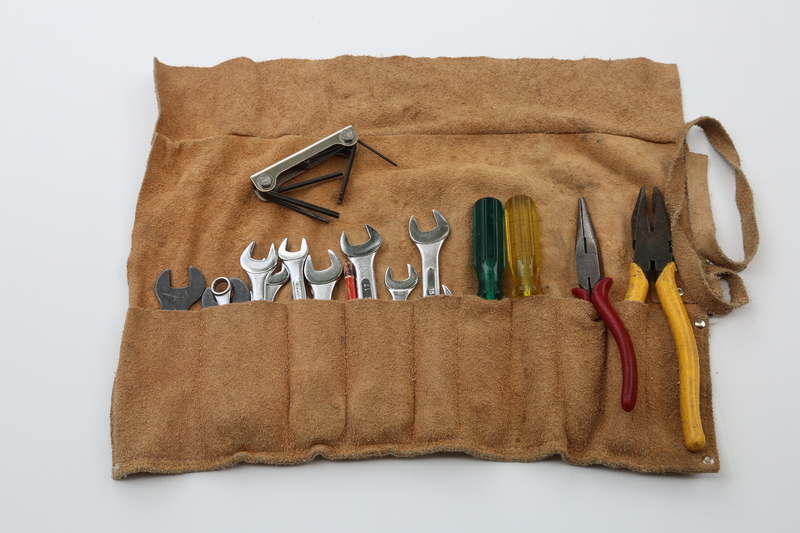 A couple of decades ago, it was very common to find a well-equipped toolbox in many an RV. 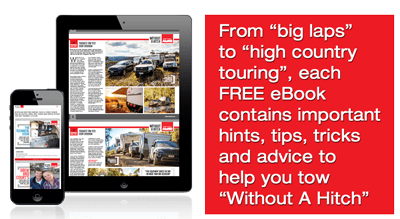 A couple of decades ago, it was very common to find a well-equipped toolbox in many an RV. I have one of those with a good selection of screwdrivers, pliers, spanners, sockets and other little “essentials”. However, these days my toolbox spends most of its time in my garage, rather than on the road. There are several reasons for this. One is that although I was once reasonably l familiar with basic vehicle engine maintenance and repairs and could even tune an early Holden Commodore engine, these days given the modern technology, diesel power and emission requirements, about all I can do is an oil change an even those no longer have to be done every 3000kms or so. Another reason is that I’m always keen to downsize and reduce weight. Consequently carrying a heavy toolbox around that did not get much use seemed a bit pointless. 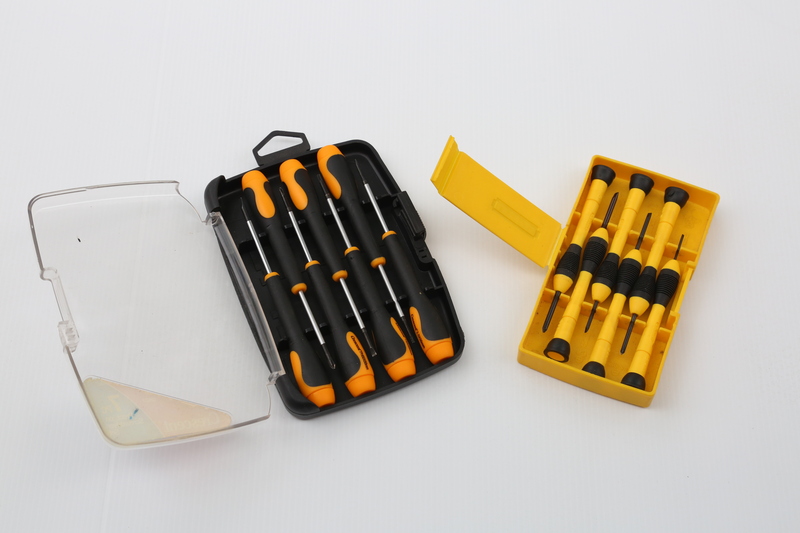 However, and there is a, however, that does not mean not carrying any tools along with you, especially if you are any sort of handyperson and get frustrated because of the inability to fix something because of the lack of a simple tool. 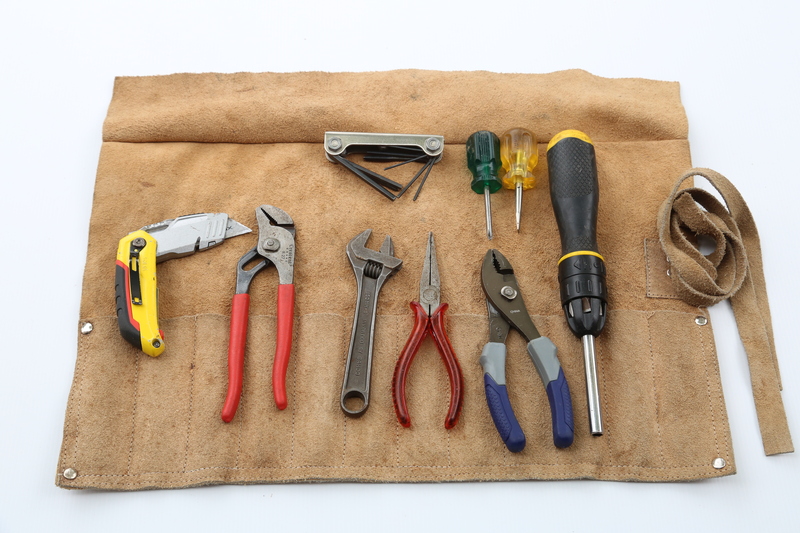 It’s also essential to carry any tools that are unique to your RV or are needed for doing things like changing a wheel. Even if that is beyond your ability, chances are that someone else will be around who can. Carrying a good wheel wrench and something like a Trail-a-Mate jack makes good sense. It’s also possible to downsize on the number of items carried. For instance, you could carry a set of screwdrivers or alternatively something like a Stanley ratchet screwdriver with multiple bits which does just as well. Instead of a set of spanners, there are some excellent small socket sets around. Alternatively, a couple of shifting spanners or a set of multi-grips or slip joint pliers might do for most jobs. I know there are certainly plenty of cheap tools around these days but for items like shifting spanners, I reckon it’s worth spending a few dollars more on a good quality item. I have a couple of Bahco shifters in my toolbox and I have had them forever but they are still rust free and working just as well as when I bought them. A Stanley knife or something similar is often useful for any number of tasks, preferably (for OH&S reasons) the folding or retractable variety. There are two other items that are essential for any RV’er. One is a can of WD-40 (or similar) and the other is a roll of Duct tape! Great in all kinds of situations – often emergency ones! At the other end of the size scale, a set of jewellers screwdrivers, including parallel tip, Phillips head and Torx are indispensable these days, as is a small set of Allen keys. If for nothing else, then the little screws in eyeglasses, which often come loose. I managed to avoid a serious problem in Auckland one time because the taxi I was in ran over a bump and a glasses lens fell out. Fortunately, I caught both the lens and the little screw. Equally, fortunately, I had a set of jewellers screwdrivers in my luggage and my taxi driver (who earned a tip) had good eyes for the repair job! Something that does carry a bit of weight is a cordless drill. 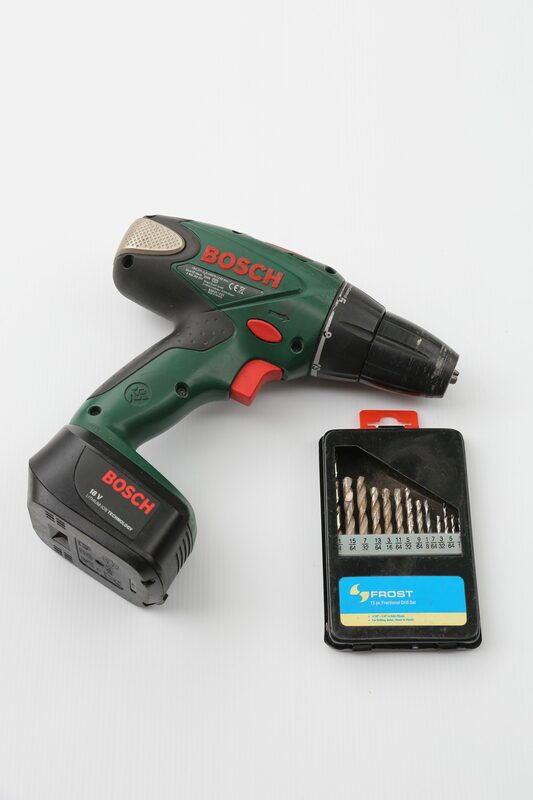 That might sound a luxury item but there have been some great developments in cordless drills and batteries over the last few years and there are some great lightweight models available. Useful for minor repairs, they are also handy if a caravan is fitted with corner stabilisers that have to be fully wound up and down. A great time saver. It does, of course, mean carrying around one more charger but that’s to be expected these days. 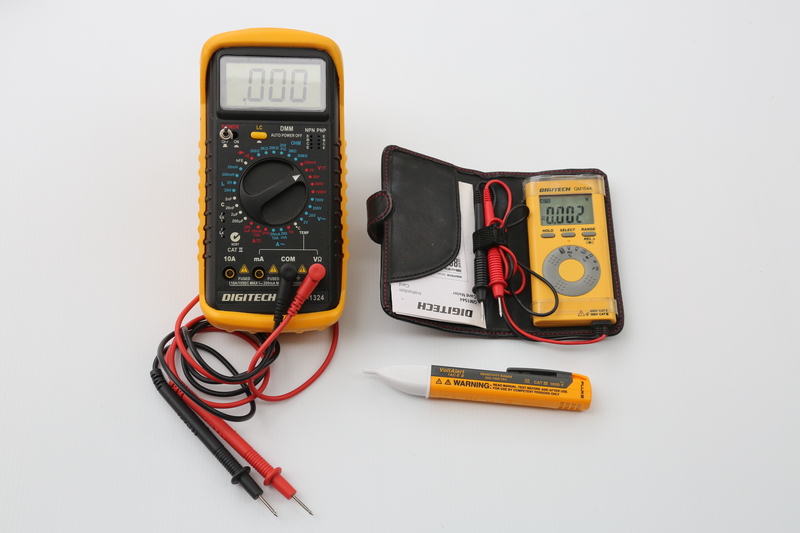 On the subject of batteries, a handy gadget to carry around these days is a digital multimeter. Even a fairly simple one can be used for checking mains (240V AC) and battery voltages without too much trouble. For those who like to travel really lightly, then my air travel kit may well suffice. In that are to be found the aforementioned jeweller’s screwdrivers plus either my Leatherman or Gerber multitools. 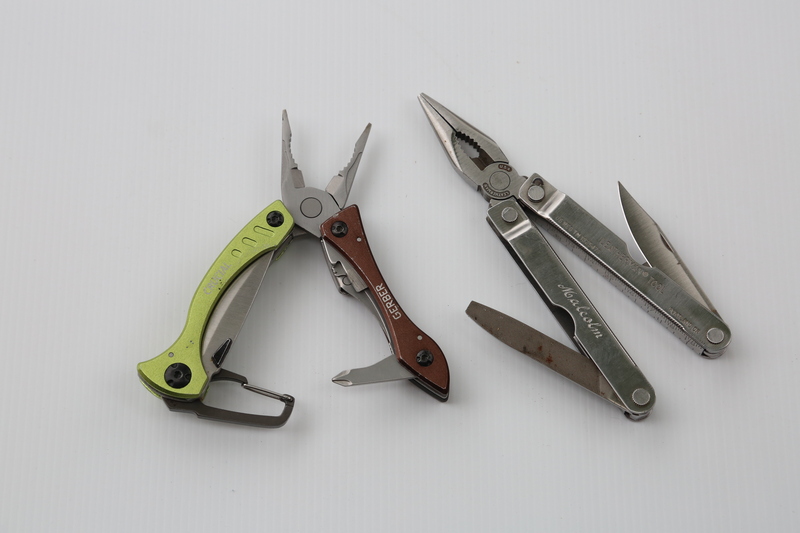 Don’t buy cheap in the multitool department, the more expensive ones are really good and these days, quite light. Don’t carry them in your hand luggage (if flying) either, the security types really don’t like them at all. How tools are carried around is minor matter but for downsizing and lightening up, tool rolls are an excellent way of doing that. 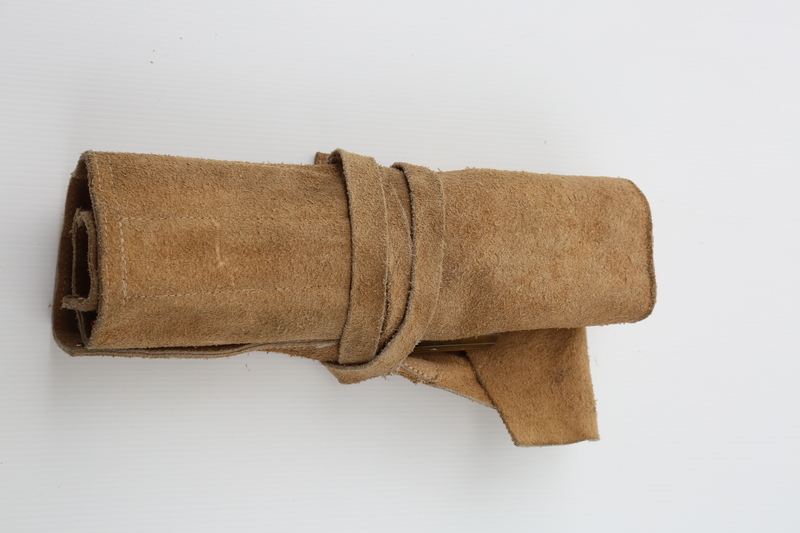 Usually made from leather, they have pouches for various hand tools and simply roll up when not being used. 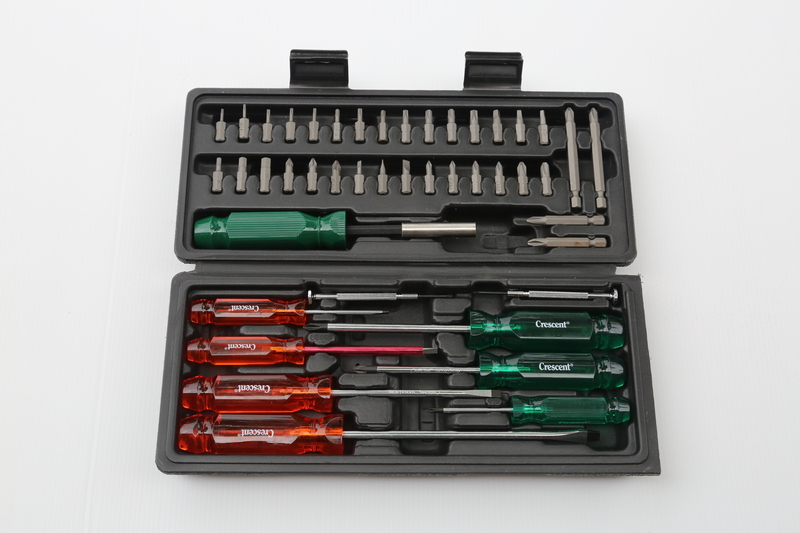 Alternatively, screwdriver sets and socket sets these days often come in small, handy purpose-built boxes. Very handy for stashing in confined spaces.